Notable Brothers — Phi Iota Alpha Fraternity, Inc.
Carlos Roberto Flores, president of Honduras, delivered the commencement address at LSU’s spring 2000 graduation ceremonies. Flores, who has been described as the "best and brightest political hope” of his country, received a B.S. in international trade and finance from LSU in 1973. He also holds an LSU degree in industrial engineering and in 1995 was awarded an honorary doctor of humane letters by his alma mater. In 1973 Flores married Mary Carol Flake of Pineville, Louisiana, who is also an LSU graduate. Their son Carlos David Flores is an international trade and finance major at LSU who is scheduled to graduate in the summer of 2000. In his commencement address Flores told the graduates that he had gained experience of enormous value in the aftermath of hurricane Mitch, which brought death and destruction to his country in 1998. "We were touched by the compassion of caring people around the world, and we learned the true significance of human solidarity and that our greatest strength lies in our national unity,” he said. "We learned that every ending always shows you to the path to a new beginning. When the dark night ends, comes a new day and new dawn. This is what I want to share with you,” he told the graduates. While a student at LSU, Flores helped the Honduran Students’ Association become one of the most active organizations on campus and joined Phi Iota Alpha, a fraternity of Latin American students. Following his graduation from LSU, Flores returned home to work on La Tribuna, a newspaper founded by his father in the 1970s. As president, chief executive officer, and publisher of the largest Honduran newspaper, he championed freedom of the press and free elections in his country. From 1983 to 1987, Flores served in the ministry of President Roberto Cordova, holding a position equivalent to that of vice president. 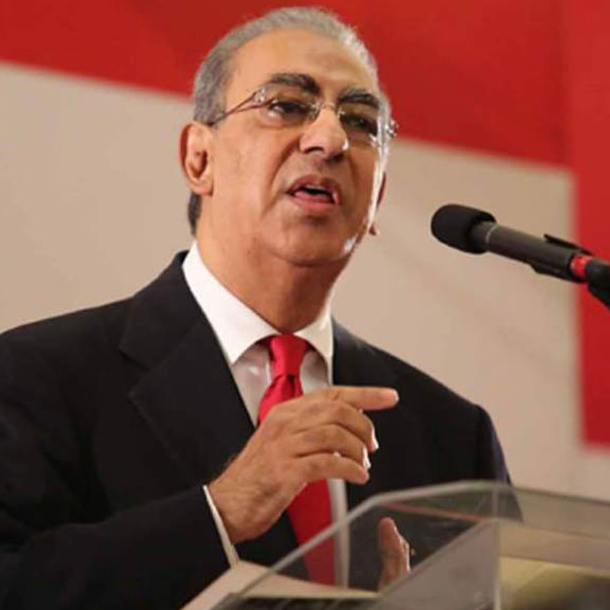 He has served as president of the Central American Parliament, was a three-term representative to the national congress, and was president of the national executive committee of the Liberal Party of Honduras. In 1989 he narrowly lost election to the Honduran presidency. He won the election in 1997 and began his presidency by working to weaken the political and economic influence of the military and to make his country more attractive to international investors. Delvalle (Cohen-Henríquez), Eric Arturo (b. Feb. 2, 1937, Panama City), president of Panama (1985-88); nephew of Max Delvalle. In 1968 he was elected congressman and became vice-president of the National Assembly. He was chosen president of the Republican Party in 1983 and was later nominated vice-presidential candidate by the coalition that narrowly - and disputedly - triumphed in the 1984 elections. The moderate Republican Party was the smallest partner in the coalition led by the left-of-centre Revolutionary Democratic Party (PRD). The mysterious murder in September 1985 of Hugo Spadafora - a controversial former minister of health - created a political scandal that was largely responsible for the resignation, on September 28, of Pres. 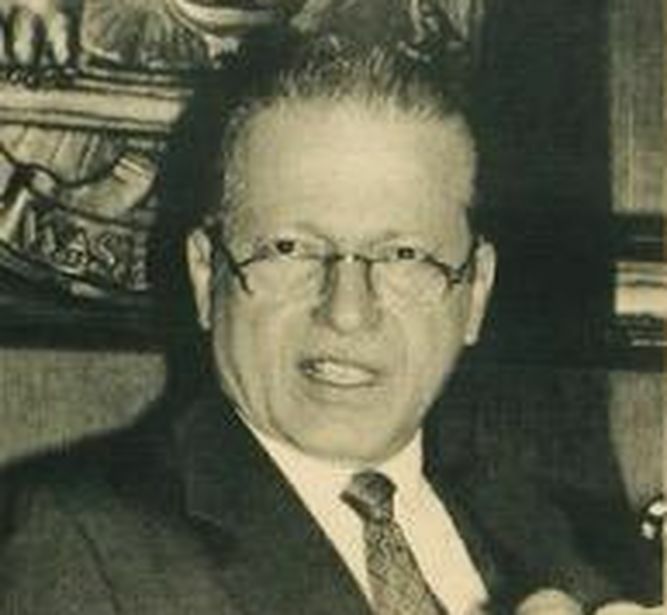 Nicolás Ardito Barletta Vallarino. Vice President Delvalle was sworn in as president the same day. Immediately after the presidential transition the PRD dictated a series of economic policies that would have led inevitably to a confrontation with the nation's foreign creditors. The National Guard, Panama's defense force - which clearly played a major role in the "easing out" of Ardito Barletta - seemed willing enough to let Delvalle try to solve the country's economic problems, especially after some opposition politicians claimed there was a link between the military and the Spadafora murder. Delvalle showed from the beginning that he intended to maintain an independent course. He rebuffed the PRD's policy demands when he informed the nation's creditors that he would continue the moderate economic policies of his predecessor. In 1988 he was removed from office by Manuel Noriega, but continued to be internationally recognized. Rudolph Matas was a world-renowned surgeon. In 1877 he began his medical training at the Medical School of the University of Louisiana, now known as Tulane University School of Medicine, receiving his medical degree in 1880 at 19 years old. He was the first to use spinal anesthesia in the United States. He developed of the intravenous drip technique, of suction, of siphonage in abdominal operations, and the first to surgically repair aneurysms. He is generally referred to as the "Father of Vascular Surgery." Dr. Matas was a founding member of the American Association for Thoracic Surgery. The Rudolph Matas Award in Vascular Surgery is considered the world's premier award for cardio-thoracic surgery. He presided as president of medical societies here and abroad, including: The New Orleans Medical Society, The Louisiana Medical Society, The American Surgical Association, and The International Society of Surgery. The American Medical Association gave Dr. Matas its first Distinguished Service Medal. Dr. Matas' life remained at all times intimately associated with Tulane and Greater New Orleans. He was the chairman of the Department of Surgery at New Orleans’ Charity Hospital for 32 years. He taught at Tulane University Medical School for 42 years. At Tulane Dr. Matas served as the Frater in Facultate of the Tulane Chapter of Phi Iota Alpha Fraternity. Staying involved in the Fraternity for almost 40 years. Dr. Matas died in 1957, at the age of 97. Former Chairman and CEO of Bacardi Ltd.
Manuel Jorge Cutillas was born in Cuba on March 1, 1932. He is the great-great grandson of Don Facundo Bacardi, the founder of the Bacardi company. Mr. Cutillas left Cuba in 1960 for the United States after the Castro regime confiscated the family business. Mr. Cutillas pledged Phi Iota Alpha at Rensselaer Polytechnic Institute. He graduated in 1955 with a Bachelor of Science Degree in Chemical Engineering. Subsequently he was awarded an honorary doctorate in Business Administration by the University of Miami in 2000. Mr. Cutillas began his career as Assistant Distillery Superintendent of Ron Bacardi S. A. in 1955. He worked at the Bacardi Company for the next 45 years rising to the position of CEO & Chairman of the Board of Bacardi Ltd. He ultimately retired as CEO of Bacardi in 1997, and Chairman of the Board in 2000. Currently Mr. Cutillas serves on the Board of Directors of Grupo Televisa S.A., the largest communications corporation in Latin America. He has been the Honorary Mexican Consul to The Bahamas since 1979. He resides in Nassau, Bahamas. Jorge is an Emmy award winning journalist for My TV20 News at Ten in Detroit Michigan. Jorge was born in Corinto, Nicaragua in 1982 and raised in San Francisco, California where he arrived in 1985. He became a brother of Phi Iota Alpha at the University of Miami Upsilon Chapter. In 2004, he graduated with a Bachelor of Science degree in Broadcast Journalism and International Studies. Since being in Detroit, Jorge has had exclusive interviews with high profile politicians such as former president Bill Clinton, John McCain, and Mitt Romney. He has also covered major events such as Super Bowl 40 and 41, the 2006 World Baseball Series, Rosa Parks funeral services and recently got to fly a Red Bull Air Race plane over Detroit and Windsor.